SECURITY WHEN YOU NEED IT – ALWAYS. Using Secom’s seamlessly integrated, intuitive user interface, managing and tracking your business’s installed security systems is just a matter of clicks. Lock or unlock your business from the front door – or from another country. Our high definition video surveillance can learn – and capture – unusual activity at your workplace. Ensure the right rooms are well-lit during business hours, and that security lights remain activated after dark. Assign unique codes to specific employees, and lock/unlock storage, delivery, and other doors remotely. Keep cool with fully automated heating and AC solutions for your office or office building. Arm your system(s) automatically at a certain time of the day. Cancel false alarms from virtually anywhere in the world. 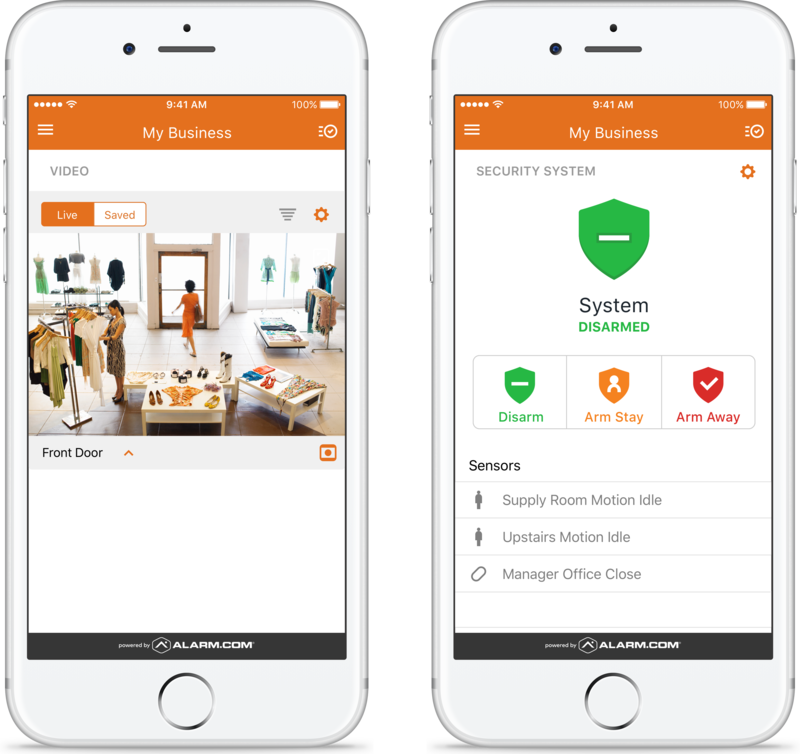 Get alerts in real-time – when your business opens, closes, and more. Track unexpected changes and unusual activity. Manage user permissions for any access point in your building. Automate lights, thermostats, sensors and more!